Question: How do you know where to place tile mosaics or medallions? Tile mosaics and medallions will immediately draw the eye. Therefore their placement should be well thought out. 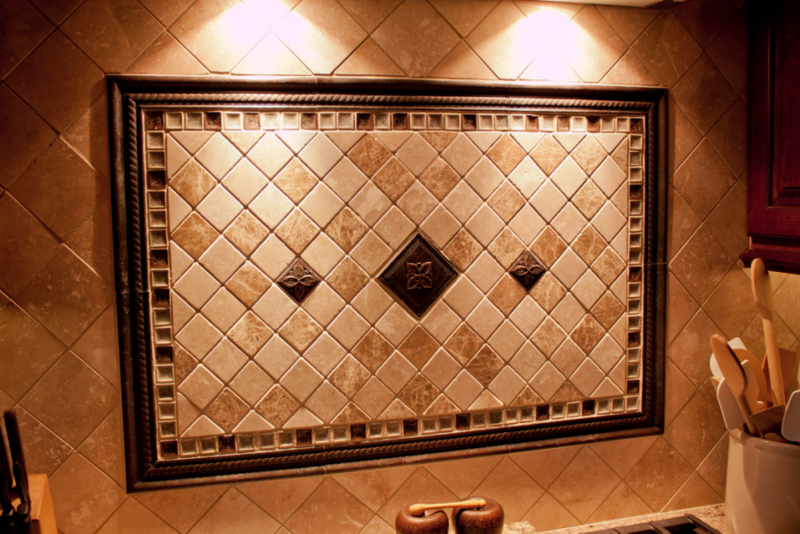 Read on to learn about the placement of tile mosaics or medallions. Place mosaic or medallions at a place that you want to highlight. For instance, a beautifully designed range hood will further be enhanced if a coordinating medallion is centered under it in the backsplash or if the area features a tile mosaic. Placement here draws attention to the design as well as the hood. The combination of the two together make this part of the kitchen the center of attention as well as setting the tone for the rest of the space. Typically medallions are placed in a traditional setting (although that does not have to be the case). The same effect of a tile medallion can be created by grouping together different tile (not the same tile used in the backsplash) to create a custom design using mosaic tiles. When doing so, it is also popular to use a border tile that distinctly separates the tile from the backsplash. This technique can be used to create a different design style, other than traditional. Simply select a tile that fits with the current design theme and be creative. Remember to select mosaic tile or medallion tiles that are in proportion with the space and any surrounding tile. For example if the range hood is over sized, you will need an oversized medallion. A four to five foot wide hood needs a medallion that is at least twelve inches wide, or greater. It is also beautiful to center a medallion tile and surround it with alternate tile, as long as a border is used to differentiate the backsplash tile from the medallion tile surround. Using this method will allow you to make a larger scale medallion for oversized range hoods. If you have any questions about the best design to use in your home, feel free to ask! Our Showroom consultants are always happy to help!